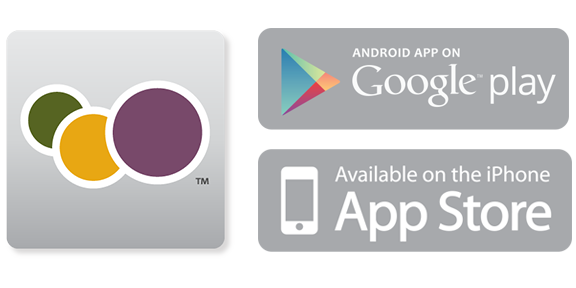 Barcode technology is convenient for organizations that use employee badges. 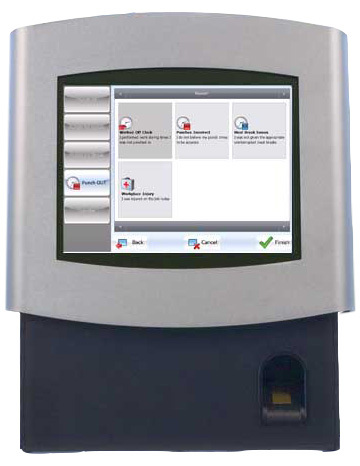 The employee swipes the card through the barcode card reader to punch or transfer. The IntelliTouch 60 quickly and easily captures all the information you need to remain compliant, transparent and profitable. 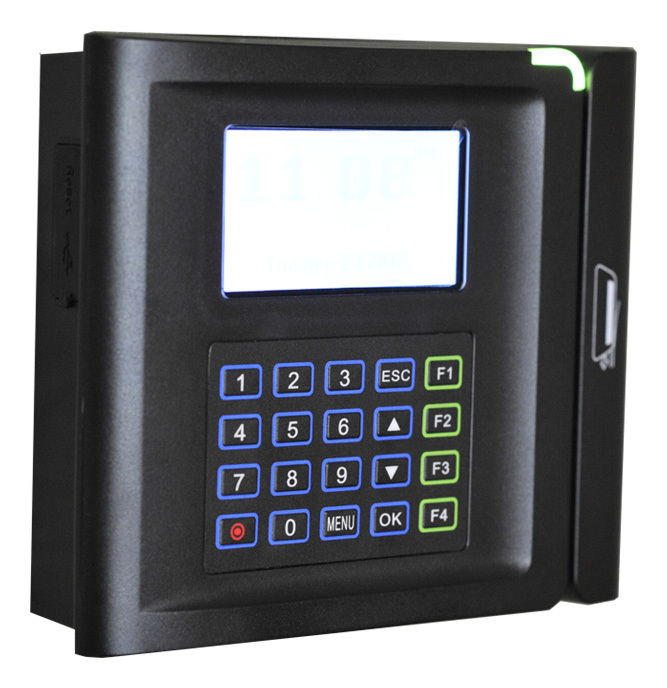 The IntelliTouch 50 is an industrial grade time recorder. It provides a resistive touch screen display with 10 customizable function keys and pop-up keyboard for entering numbers and letters. 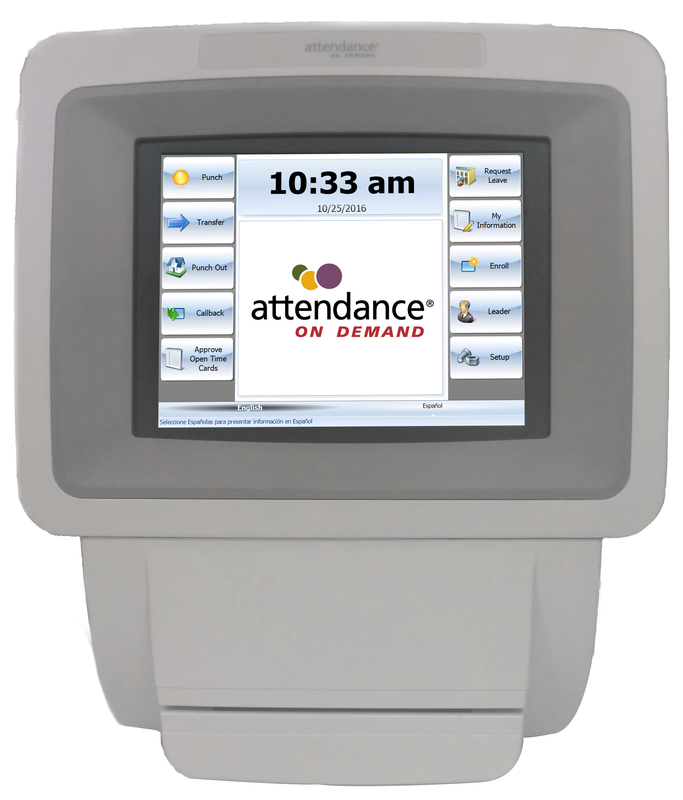 Employees and supervisors can perform basic time and attendance tasks like punching and transferring. Other comprehensive functions like fixing missed punches and requesting leave can be done right at the clock. 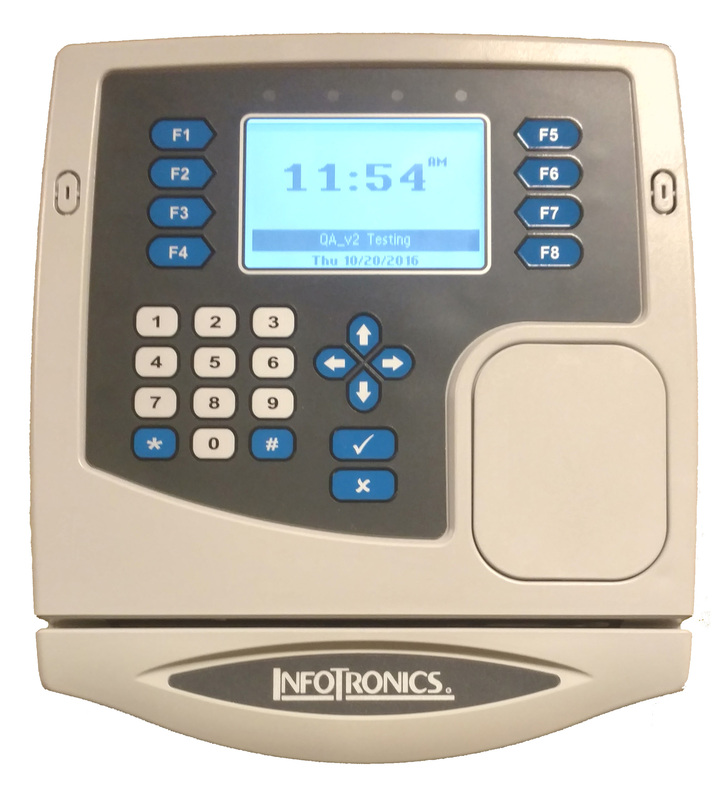 The IntelliTouch 50 has a capacity of approximately 1,000 employees. Multiple language supports lets you communicate with your diverse workforce. Real time communication means information is up to date and ensures compliance with Meal and Break rules.